Multi-day river trips really can’t be beat. Worries drift away on the current, river time replaces regular time, and stress evaporates under sunny skies. Unfortunately for most of us, multi-day whitewater rafting trips are rare treats. But for the cost of a fancy dinner, even the most time-limited among us can score a seat on the tube of a commercial rafting trip for one day of watery thrills. The most epic one-day trips marry an unforgettable location with fun whitewater, knowledgeable guides, and accessibility that means you’ll be back “home” in time for dinner. With hundreds, if not thousands, of one-day whitewater rafting trip options, we high-graded ten of the best from around the world. 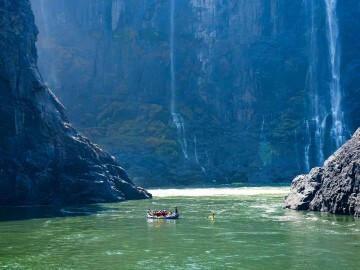 Few rivers are as legendary as the Zambezi. 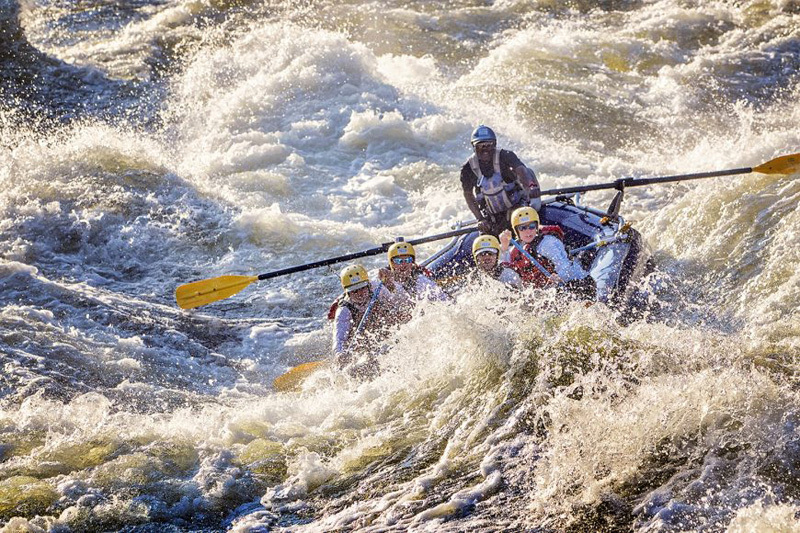 Straddling the boundary between Zambia and Zimbabwe, the Zambezi River offers the most intense commercially run whitewater anywhere in the world. 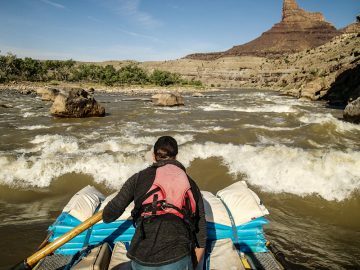 During the prime season—generally August through December—rafters can start right below Victoria Falls and paddle (or hold on screaming) for about 25 miles through 25 of the largest rapids you’ll likely encounter on any river trip, anywhere. And if rapids with names like Stairway to Heaven, Commercial Suicide, and Gnashing Jaws of Death aren’t enough to get your adrenaline pumping, don’t forget about the crocodiles and hippos that ply the river eddies. Unfortunately, construction on a long-feared dam has finally begun after years of planning. While the dam is unlikely to impact the rapids in the day-trip sections (though some fear the reservoir may stretch all the way to Rapid 7), it will impact multi-day trips and drown other rapids in the lower Batoka Gorge. So catch this once-in-a-lifetime epic before it changes for good. If rafting thrilling whitewater through the unspoiled Swiss Alps sounds appealing, then you can’t do much better than the Inn River (also referred to as the En River) in the Lower Engadine Valley of Eastern Switzerland. This secret corner of Switzerland offers unspoiled views and authentic Swiss culture, and the Inn flows through it all, past picturesque villages perched amid the steep mountain peaks. The Inn is a classic European whitewater run, especially the stretch flowing through Austria’s Tyrol region, where Europe’s whitewater scene effectively started. 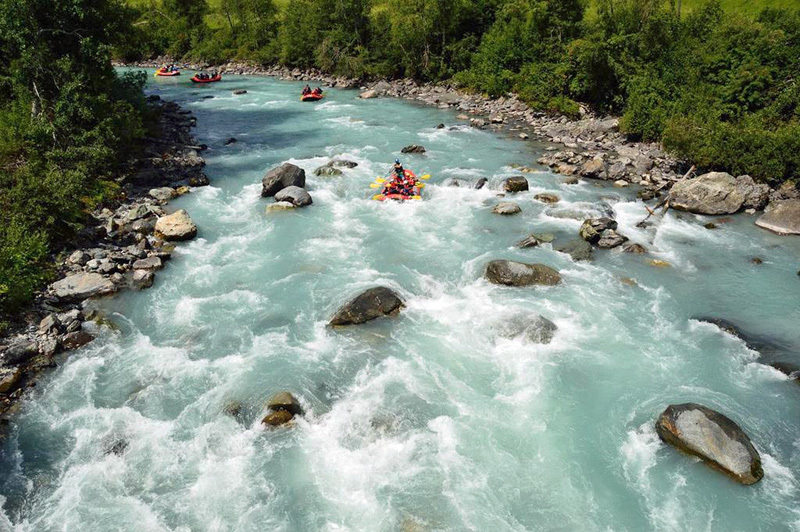 But the Swiss sections offer all the whitewater fun with far fewer crowds. The mellower Class III Scuol section flows for about five miles and is a great warm up for the sportier Class III-IV, six-mile-long Giarsun Gorge. Trips run from May through October and depart from the Instagrammable resort town of Scuol. Outfitters paddle each section as a half-day trip or combine the two for a full-day float. While this region is largely considered remote and undiscovered, travelers from Zurich can visit Scuol’s famous spa, Bogn Engiadina, and still get home for dinner, making a visit to this area a relatively easy add-on to most Swiss itineraries. The area is also the gateway to the Swiss National Park, the country’s largest protected area and life-list hiking destination. 3) New and Gauley Rivers | West Virginia, Eastern U.S. Yes, the New and Gauley are separate rivers, so lumping them together is a bit like cheating. But given their close proximity, it actually makes sense to tackle them both. The Gauley is, arguably, the most notorious whitewater run in the U.S. While the whitewater sections are run year-round, water levels can fluctuate significantly, making conditions a bit hit or miss. The exception to this is the six-week-long “Gauley Season” which starts the Friday after Labor Day when the Army Corps of Engineers schedules annual water releases from Summersville Lake, a reservoir just above the Gauley’s famous stretches. The guaranteed big water during this window brings boaters from around the world. The most common Gauley trips are the roughly 12-mile-long Upper Gauley (Class IV-V) and the 14-mile-long Lower Gauley (Class III-IV, V). For those who can’t decide which section to run, some outfitters offer an epic day trip that links both sections in a 28-mile, 150-rapid marathon of raging whitewater that’s affectionately called the Gauley Marathon. 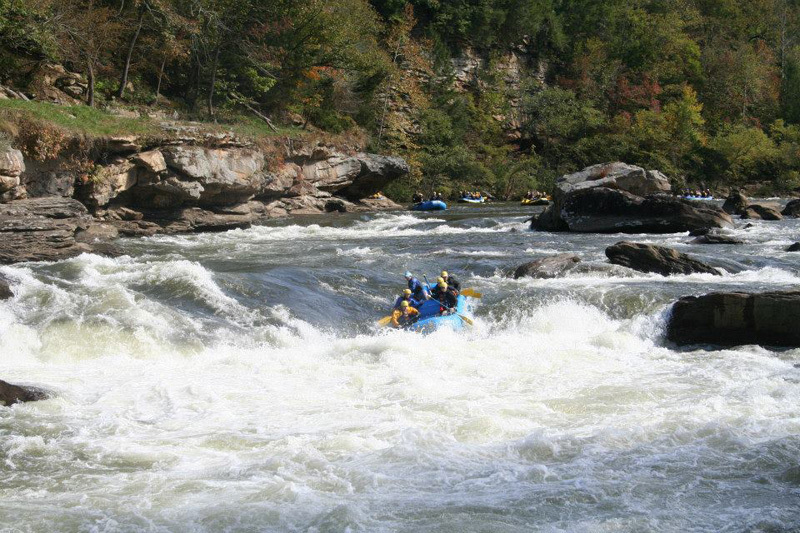 Both stretches have Class V rapids, but the Upper Gauley is generally considered the harder of the two. The New River is the Gauley’s slightly-less-rowdy sibling. Most outfitters offer two day-trip opportunities on the New River, including the family-friendly Class I-III Upper New River and the stout Class IV-V Lower New River. The Lower New River, which passes through New River Gorge—the “Grand Canyon of the East”—is where West Virginia’s whitewater scene got started and it’s still one of the most classic and celebrated runs in the world. The Arkansas has been called “the most popular rafting river in the West” for good reason. Flowing from high in the Colorado Rockies, the Arkansas drops more than 5,000 feet in its first 125 miles. With multiple day-trip options, stunning Rocky Mountain scenery, and relatively easy access from Colorado Springs (90 miles away) and Denver (120 miles away), it’s easy to see why the Arkansas is so popular. Browns Canyon is probably the best-known run on the Arkansas, offering up 18 miles of Class III-IV rapids that will excite the most accomplished paddlers, while still accommodating adventurous beginners and kids as young as seven years old. Groups with less time can book a half-day Upper Browns Canyon adventure and still hit rapids like Widowmaker, Pinball, Big Drop and Zoom Flume. Lower Browns Canyon is suitable for kids as young as four, though you’ll miss the biggest rapids. More adventurous paddlers can day-trip down the Arkansas’ other sections, including the Narrows and the Numbers, which both offer more technical rapids and bigger water than Browns Canyon. 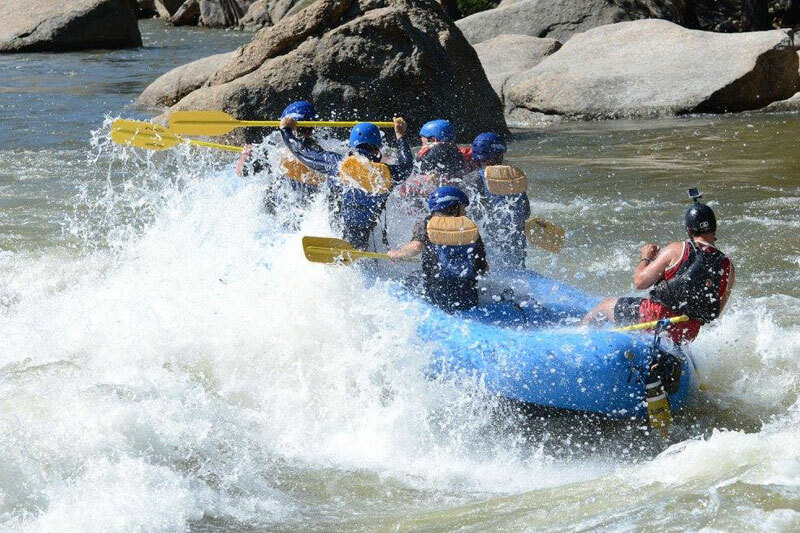 Lower down the river, the Royal Gorge and Big Horn Canyon sections also offer full-day whitewater adventures in stunning canyons that stretch more than a 1,000 feet above the river. In short, few rivers off the accessibility, scenery, variety of whitewater, and full-time fun as the Arkansas. 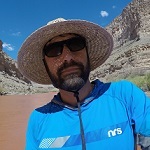 Wilderness paddle trips typically require several days. 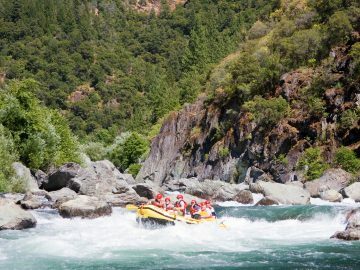 But, for a one-day, wilderness-style raft trip that’s accessible and memorable, you can’t beat California’s Middle Fork American River. This Class III-IV stretch of river churns through a rugged 2,000-foot deep gorge, offering incredible scenery in a remote section of the Auburn State Recreation Area. 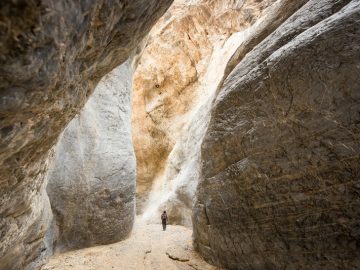 Rich in history, the area saw thousands of Gold Rush settlers move through in the mid 1800s, and relics from those days still dot the canyon. Perhaps one of the coolest legacies of the Gold Rush era is Tunnel Chute Rapid, where modern day adventurers rip down an impossibly narrow Class IV chute before passing through the 90-foot long tunnel itself. Both the chute and the tunnel were blasted by miners looking to unearth gold and now offers a unique attraction that brings rafters back year after year. Close to Lake Tahoe and Sacramento, this “intermediate” whitewater river is great for adventurous whitewater neophytes willing to get wet and work the paddle, but who haven’t experienced much big water yet. 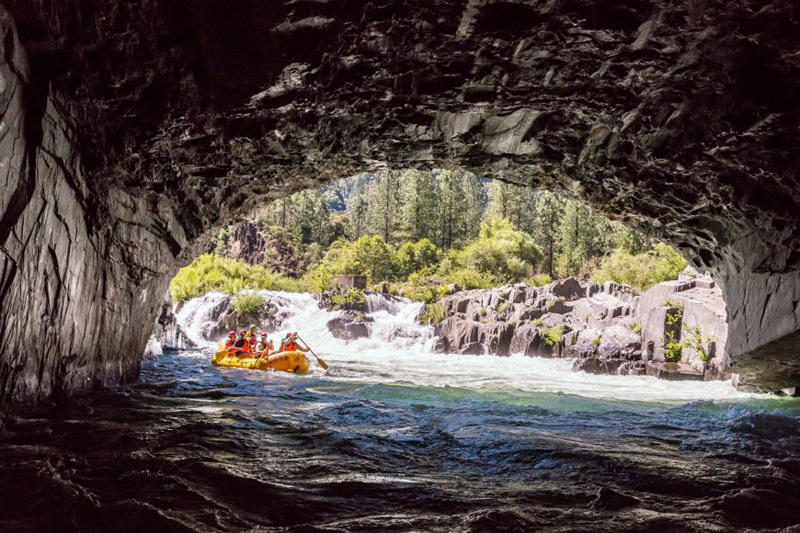 True beginners with little or no river experience should consider the South Fork of the American River day trip, while more experienced paddlers looking for a challenge should sign up for a springtime run on the North Fork American River. For a relatively small country, Ecuador is incredibly diverse. From its sky-high Andean peaks to its lush Pacific coastal plains to its Amazon basin headwaters, Ecuador packs nearly every South American landscape into one compact package. 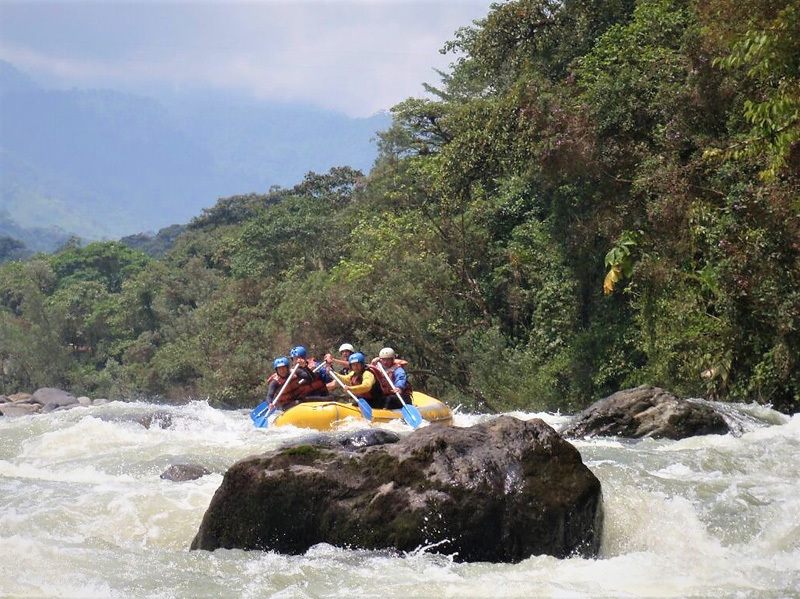 It’s hard to go wrong with a rafting adventure in Ecuador, and because of its size, most rafting trips are accessible from the capital city, Quito. 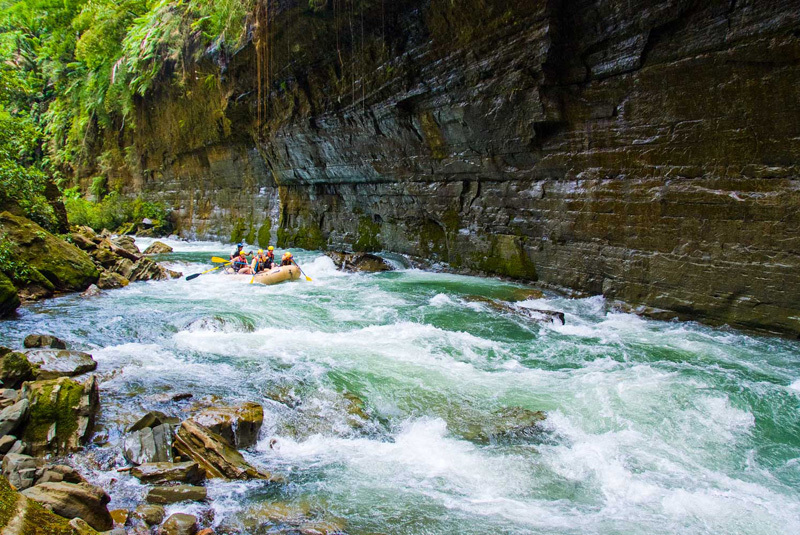 The Quijos River, located about 2.5 hours from Quito, stands out among the Ecuador’s epic paddling opportunities. With Class III-IV+ rapids, a stunning high-elevation tropical rainforest setting, and a gorgeous canyon, the Quijos has it all. 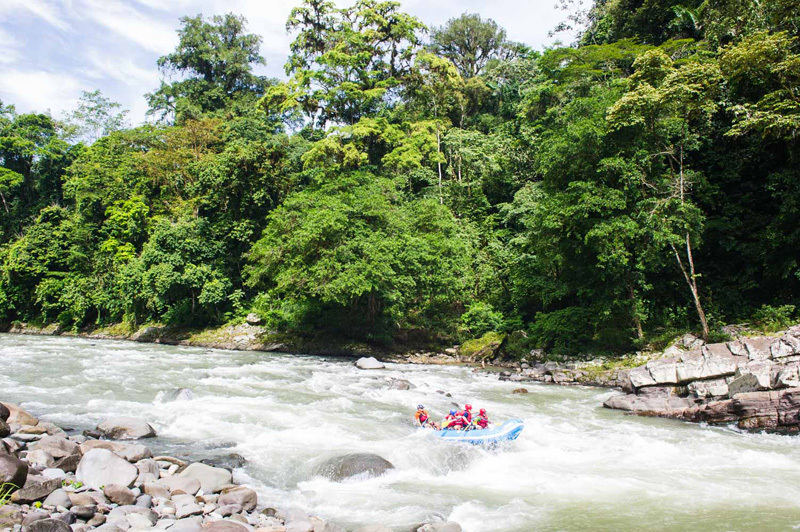 While many South and Central American raft trips are hot and humid, the Quijos starts at 7,000 feet, so both water and air temps are much cooler than typical trips in this part of the world. Still not convinced? 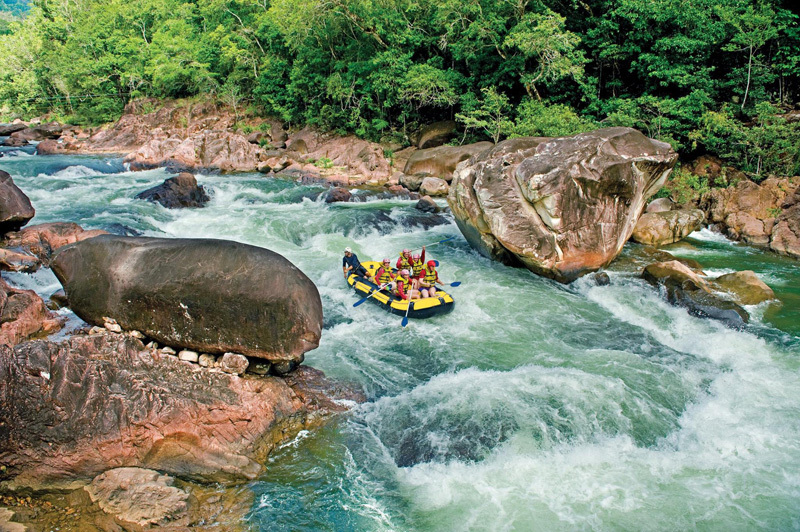 The Quijos hosted the 2005 World Rafting Championships, and outfitters run trips down the very water that challenged the best rafters in the world. More than three dozen rapids in 20 miles? Check. A 150-foot waterfall plunging from fern- and vine-choked cliff walls straight into the river? Check. Abundant and exotic wildlife? Check. Few rivers on earth can rival Costa Rica’s Pacuare River, which plunges roughly 67 miles to the Atlantic Coast in a foaming white sprint. Most commercial day trips run the lower section of the river, a roughly 20-mile stretch that includes intense Class IV rapids, the Huacas River Gorge (complete with aforementioned waterfall), and a lush, jungle scene unmatched anywhere. Tropical birds, monkeys and sloths play in the canopy, sparkling cascades spill from the verdant canyon walls, and rapid after rapid thrill the most jaded water rat. The Pacuare isn’t a secret by any means and relatively easy access from San Jose makes for some busy river days. But if you’re willing to share this truly incredible place, the Pacuare delivers a tropical whitewater river experience bar none. The Tully River is considered Australia’s best rafting river — a claim that holds up under scrutiny. Even though it’s only 83 miles long, the Tully cuts through some spectacular country, including the Tully River Gorge National Park (a UNESCO world heritage site). 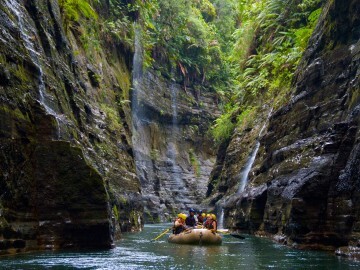 Imagine yourself paddling through exciting but relatively low-stress Class III-IV rapids, past a verdant rainforest that hosts exotic birds and Australian water dragons. Waterfalls pour from basalt cliffs into the river and mountains covered in thick, ancient jungle spill into the distance. That’s a one-day rafting trip on the Tully. Two hydroelectric dams control the Tully’s flow, making it a year-round whitewater destination. But even though the Tully has some exciting Class IV rapids, beginners with no rafting experience can handle the paddling. Most outfitters operate out of Cairns, a two-hour drive from the Tully. Plan for a full-day trip that includes rapids like Corkscrew, Staircase Rapid, and Double Waterfall. And of course the trip includes a barbeque lunch, so you’ll be able to ask your guide to “throw another shrimp on the barbie.” What could be better, mate? The island nation of Fiji is probably best known by surfers, scuba divers and beach bums as a bucket-list destination. Its warm turquoise-colored waters, legendary surf and secluded sandy beaches have lured travelers for decades. But Fiji’s tallest islands rise more than 4,000 feet from the South Pacific, and where there are mountains, there are rivers. On Fiji’s largest island, Viti Levu, Rivers Fiji has pioneered a one-of-a-kind 12-mile raft trip through the otherworldly Upper Navua River Gorge. In this Garden-of-Eden-like paradise, paddlers wind through a lush and convoluted canyon where black volcanic walls rise 150 feet above and dozens, if not hundreds, of mini waterfalls cascade down all around. It’s all about the scenery on this trip, and the fun Class II-III water is perfect for families (kids eight and older are welcome). The local Fijian guides also provide plenty of natural history and local lore to keep everyone entertained. For avid hikers and mountaineers, Nepal might be the holy land. Sandwiched between China and India, Nepal claims eight of the world’s tallest ten mountains, including Mt. Everest. 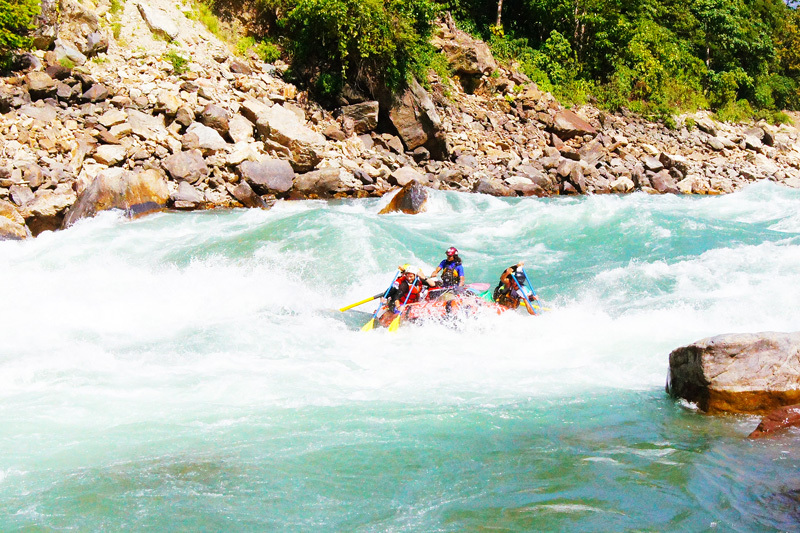 Fortunately for rafters, big mountains mean big rivers and Nepal has some of the best whitewater rivers in the world. Unfortunately, most of them require a few days to reach and navigate, making them inaccessible for day-trippers. The Trishuli River, however, is an exception. Located a few hours from Kathmandu, the Trishuli (or Trisuli) winds through verdant foothills, past unique rock formations, and pastoral Nepalese countryside, offering a scenic, one-day Class III trip that’s suitable for adventurous families and newbies. It’s still a long day trip if you leave and return to Kathmandu, but many outfitters offer paddlers the chance to travel to Pokhara after a day on the river. Pokhara is considered the “tourism capital of Nepal” and is the base for the classic Annapurna trek. Paddlers looking to extend their Trishuli trip can opt for a two-day float, as well. All this makes a trip down the Trishuli a worthwhile addition to any Nepalese adventure. While these one-day trips serve up exotic locales, incredible whitewater, and a life-time worth of memories, they’re just a small sampling of the awesome one-day rafting trip opportunities out there. More than likely, there’s a whitewater day trip within a couple hours of your hometown. It may not have a tunnel, howler monkeys, or rapids big enough to swallow a school bus, but when you slide onto the tube and the guide starts yelling paddle commands, none of that matters.